Solid State Drive (SSD) has gradually become the focus for individuals who desire to enhance their storage equipment. Especially since 2016, more and more SSD vendors have applied the newly invented “3D NAND Flash” and “NVMe Communications Protocol” to their latest products. With the larger capacity, faster speed, and friendlier price, SSD will comprehensively replace Hard Disk Drive (HDD) in the near future. In this article, Allion Labs, who are dedicating in testing storage products for years, will explain how the applications of 3D NAND Flash and NVMe protocol affect SSD market. We will firstly illuminate why the two new technologies decrease SDD’s manufacturing price whereas increase its durability at the same time. Then we will analyze the increasing demands of different SSD users, including enterprises and automakers, and share how they perceive the quality of their storage equipment. “NAND Flash” is the largest contributor to cost, durability, and read/write performance for SSD. Based on different types of memory cells, NAND Flash can be categorized as Single-Level Cells (SLC), Multi-Level Cells (MLC), and Triple-Level Cells (TLC). SLC SSD, generally, offers the fastest read/write speeds and the longer endurance. However, the manufacturing cost is high since it stores less data per cell than MLC and TLC memories. Thus, users of SLC SSD are usually militaries and high-level enterprises. Small and Medium enterprises usually use MLC SSD, which contains not only a longer life span and better performance than TLC SSD but also a relatively friendlier price than SLC SSD. Users of TLC SSD, due to its higher capacity and lower price, are general customers in the market. Yet, compared with SLC and MLC SSD, TLC SSD has longer access latencies (i.e. lower performance) and a relatively smaller number of write erase cycles in a specific block (i.e. shorter life span). Nevertheless, the advent of 3D NAND technology, which vertically stacks memory cells in multiple layers, has not only made SSD surpass capacity limits but also augment its durability by increasing the times of drive writes per day (DWPD). To be more specific, manufacturers, in the past decades, often operate “Shrinking Process” to shrink the size of each storage unit to increase the data density. Despite this technique increased the capacity of SSD, NAND becomes more fragile, decreasing DWPD. That is why TLC SSD, which generally has larger capacity than SLC and MLC SSD, has a shorter life span. Thanks to 3D NAND technology that allows memory cells to be vertically stacked, storage units can be piled up in multiple layers, greatening the size of each storage unit in each layer and the capacity in the NAND. Therefore, SLC and MLC SSD can exceed the capacity limits, and TCL SSD can be more reliable as well. In addition, the upgrade of NVMe Communications Protocol has allowed SSD to surpass the maximum bandwidth limit of PCIe SATA Gen 3. 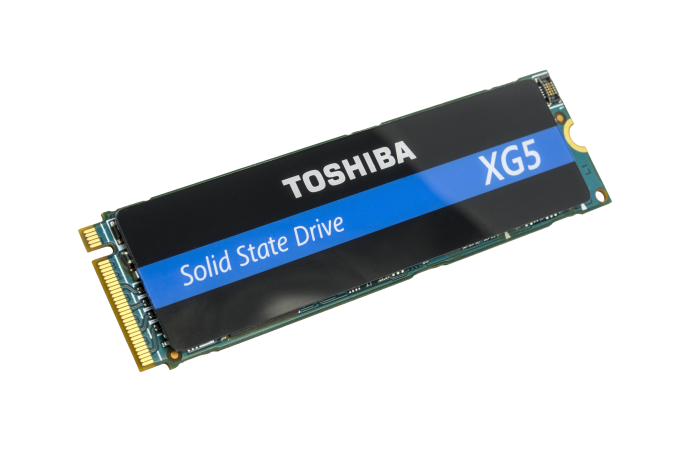 For instance, Toshiba, the leading SSD maker, has launched XG5, which contains 64-layer BiCS3 3D NAND, PCIe Gen3 x4 Interface, and NVMe Revision 1.2.1. These new specifications augment XG5’s read/write performance to 2,100 MB and 3,000 MB/s, allowing the sequential read performance to become 5.4 times (sequential write rate 3.8 times) faster than those SSD that were using 6Gb/SATA Interface. In short, the applications of 3D NAND Flash and NVMe Communications Protocol will enhance the performance and durability of SSD but decrease the cost of each storage unit. These advantages will bring changes to users from different levels. In the following paragraph, we will specifically analyze the increasing demands of these users and how they perceive the quality of their storage equipment. Compared with HDD, SSD was generally considered to have faster speed, higher durability, and lower energy consumption. These features allow enterprise users to decrease their TCO (Total Cost of Ownership). Since the lower manufacturing cost of each storage unit that might decrease the price of SSD in the future, enterprise users will be more willingness to upgrade their HDD to SSD. For example, online store owners, by equipping SSD, are able to improve the performance of their servers, executing more data in shorter periods of time to reduce the queueing delay of buyers. Therefore, SSD will soon become an essential in enterprise market. Nevertheless, putting NVMe SSD constantly into a long-term overload working status might decrease its performance significantly. Fortunately, a professionalized “Stability Test” is a way to provide references for enterprise users to perceive the stability of their equipment. The figures above showed the latency of SSD (A), when executing nine kinds of data for consecutive five times, is short and stable (average latency is approx. 0.02-0.1ms). Therefore, the curves in the first chart are relatively flat and clear. The curves of SSD (B) in the second chart, on the other hand, are more undulate than SSD (A) in the first chart. For instance, we can see that, when the data type and read/write load was “8W 0/100 RW,” SSD (B)’s latency was 0.05ms at the first round (i.e. Blue line with cross shape). Yet, the latency then became 0.2ms in the second round, causing more waves for the curve and showed that the performance of SSD (B) is not as stable as SSD (A). In a nutshell, the lower cost of SSD might attract enterprise users to be more willingness to replace their old equipment. However, both of these vendors and users should operate “Stability Test” to comprehensively perceive the quality of the products. The development of In-Vehicle-Infotainment (IVI) system has created new relationships between drivers and their automobiles. With the advent of smart devices and wireless technologies, today’s IVI system is able to support drivers to play music and videos, find fastest route by analyzing real-time traffic information, and make calls or send text messages by audio controls. The performances of these features, however, rely heavily on the data executing speed of the storage devices in the system. As we mentioned previously, SSD seems to be the best solution for executing big data. In addition, electronic devices in vehicles often have to face various situations, such as extremely high/low temperature caused by sunlight or snow, a low air pressure/high humidity atmosphere when the car was staying in mountains or other unique areas, or random vibrations and shocks that were caused while driving. For these strict environments, the mechanic-free structure of SSD has made it be more reliable than HDD. Consequently, we expect that automakers will start using SSD in their new vehicles once the cost goes down because of the new technologies. Automakers often perceive SSD’s reliability through “Reliability Test,” which is able to duplicate multiple scenarios (i.e. environments) during the testing process. 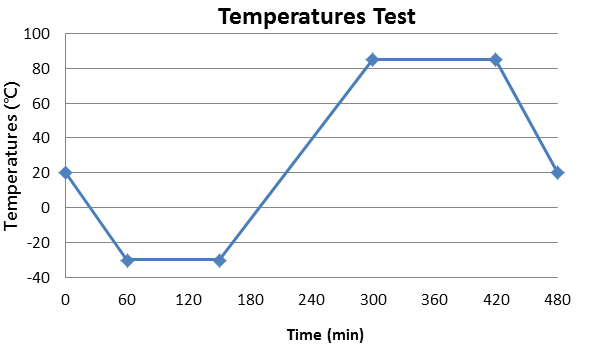 For instance, we have designed “Random Vibration with Temperature Test” for our clients to check products’ robustness when the conditions of vibration and temperature changed in actual driving experiences. In this case, we firstly set up different frequency and add different “Power Density Spectrum” to reproduce various types of vibrations that might be occurred while driving, including starting off, sudden breaking, and other random shakings caused by bad conditions of road. Then we operate Temperatures Test, putting the “shacking” DUTs into a chamber that can reach to the highest 85oC and the lowest -30oC for eight hours. After working in this strict environment (i.e. vibrating + experiencing extremely high/low temperatures) for eight straight hours, some SSD might increase their read/write error rates and latency times, or even just stop functioning. Some automakers also require other Reliability Tests, such as Humidity Test, Random Shocking Test, and Electronic Test. Depending on the vehicles’ market position, we are able to assist clients design customized testing plan to verify the reliability of the storage equipment, providing references for their procurement plan. This entry was posted in Technical Blogs and tagged 3D NAND, NVMe, SSD.